My friend Lee Lofland, ex-cop turned author of POLICE PROCEDURE AND INVESTIGATION, has put together THE WRITER'S POLICE ACADEMY on April 17-18 2009 in Hamilton, Ohio. The faculty is packed with top cops giving hands-on instruction in, among other things, Interrogation, hand-to-hand combat, police tools & equipment, arrest procedure & tech, law enforcement technology, and equipment, hostage negotiations, lie detection, traffic stops, handgun training, as well as indepth tours of the local morgue and police department. It sounds fantastic to me. I hope I will be able to go. The Writer's Police Academy coincides with the Mad Anthony Writer's Conference, which includes guests like Bleak House publisher Ben LeRoy and Writer's Digest Books editor Jane Friedman. 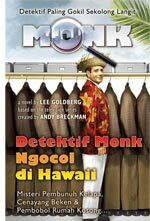 Here are some covers from the foreign editions of my MONK books. 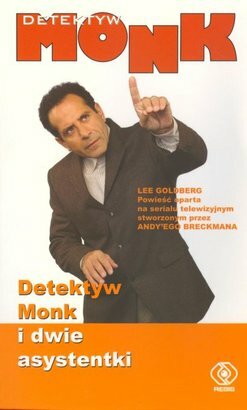 What I don't get is why on the Polish cover they spell my name correctly, but they change "Andy Breckman" into "Andy'Ego Breckmana." Can anybody explain that one to me? but this has not stopped www.blurbings.com offering various packages that start at $19.95 for 10 micro-bouquets. small-press-published authors–or, possibly, from random web surfers. blurbwise, who cares what they think? 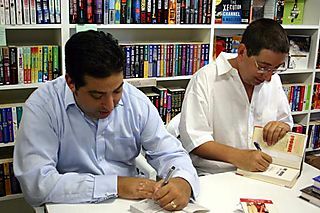 self-published authors and small presses receive blurbs for their work. It was created to shorten the process and make it cheaper. […]If anyone here feels as if our service is pointless then don’t use it. It’s as simple as that. I don't know why the Telegraph and Victoria are criticizing Blurbings.com. Everyone knows that a ringing endorsement from a complete nobody for a total unknown is better than no blurb at all. But I think I'm going to save $20 and just ask my gardener, the cashier at Ralph's, and the first person I see on the street to blurb my next book. the partnership he formed with his then-wife, Wanda. Clerk: I don't think you can return an item for spite. doesn't fit into any of our conditions for a refund. 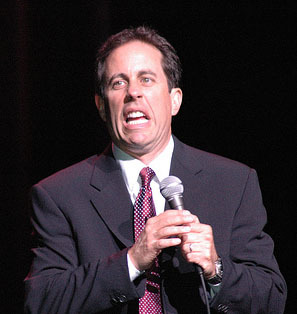 I think if Obama becomes President, he should consider putting Jerry on the Supreme Court. In his Los Angeles Times essay on Sunday, My brother Tod touched on the enormous popularity of tie-in novels. I've just learned from International Association of Media Tie-in Writers' member Sean Williams that his STAR WARS: THE FORCE UNLEASHED has hit #1 on the New York Times hardcover bestseller list. 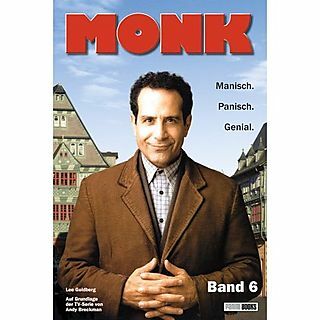 I suspect his tie-in won't be the only one on that list on 9/7. This week, Eric Van Lustbader's tie-in ROBERT LUDLUM'S THE BOURNE SANCTION is #2 and IAMTW member Karen Traviss' STAR WARS: THE CLONE WARS is #19. All that action was just in the first ten minutes. Is it time to start carving a tombstone for Network Television? Wired magazine thinks so. Last season, the three major networks (ABC, CBS and NBC) combined attracted their smallest audience since the advent of television. But the cable networks, which target a niche audience rather than aiming for the broadest possible reach, now claim more than half of total viewers. stopped liking them. Prime-time news magazines? Barely holding on. they're too lazy to change the channel after The Biggest Loser . has shrunk so dramatically that the form may vanish within a few years. episode. For several years now, TV's top event has been Fox's American Idol . Last season, it drew 28.8 million viewers a week. So he did. Read his very funny article and find out what he learned. UPDATE 8-25-2008: Tod's article got a surprisingly unsnarky mention on GAWKER, some love on TV Squad and some attention from Publisher's Weekly's Book Maven. UPDATE 8-26-2008: TV Squad also gave Tod's book a rave review.